Free Trolley service in Gatlinburg starts June 14 along Parkway again this year, marking 2013 as the third year that Gatlinburg has offered this tremendously popular service. 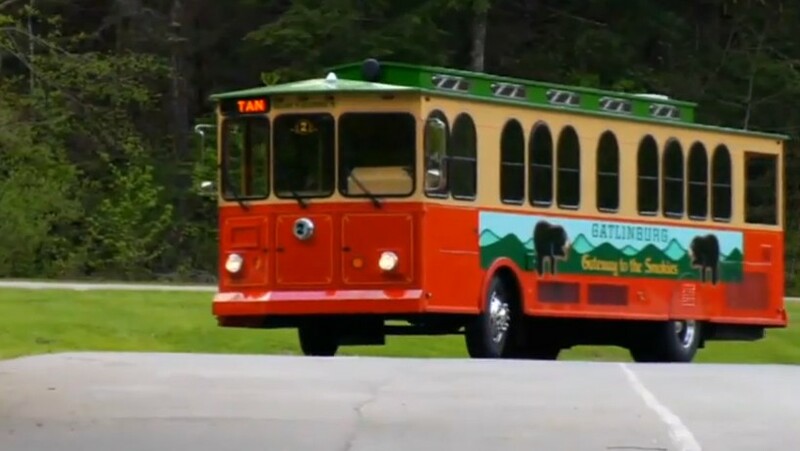 Through August 17 the specially painted trolleys will cruise the length of Parkway south from Traffic Light #1 all the way to Light #10 at the entrance to Great Smoky Mountains National Park. Additional stops have been added again this year, with 40 different places to get on and off along Parkway. 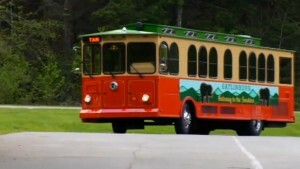 We’ve always said the trolleys in Gatlinburg are a class act and the free summer service is the frosting on the cake! The trolley system stops at more than 100 locations in the Gatlinburg and Pigeon Forge area, including Dollywood and a tour of the National Park. The trolleys are fun, friendly and inexpensive, and they welcome baby strollers, wheelchairs and bicycles. The system runs 365 days of the year, and in summer from 8 am until midnight. The routes are color coded and the best deal is the all-day pass for $2 that allows you trips on most of the routes (Dollywood and the Park are excluded but very cheap even as separate tickets). Check routes and fares here. The trolleys run very frequently, so from any Street Trolley sign you’ll find a trolley at pretty short notice. And hipsters with smart phones (that’s all of us now, right?) waiting at a trolley shelter can locate any trolley by GPS through the trolley locator. So park the car and take the trolley and enjoy the summer!